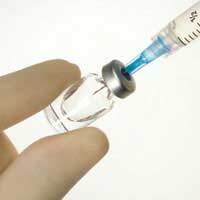 While animal testing is a vital aspect of the full testing and trialing process of bringing pharmaceutical drugs to the marketplace in the United Kingdom (UK) and elsewhere, the clinical trials process is an important procedure to be aware of in terms of its relevance to animal testing. Despite what the public sometimes perceive as complicated and painful testing on animals prior to clinical trials, the animal testing is really only a small albeit necessary part of obtaining drug approval. The initial assessment of the drug is performed on animals, mostly because at that point, not enough is known about its effects on a live animal. Prior to that is the product development and in vitro testing of a substance. A clinical trial is important because it assesses the efficacy and safety of a drug that is still unapproved and in the developmental stages. This step is necessary because it ensures that a drug is safe and effective for public consumption. At the end of the clinical trial, all of the information must be succinctly relayed in a fairly lengthy document that summarises the results of all testing and makes the 'convincing case' for the drug's approval. The clinical trial results are inspected along with the results of animal testing, although more weighting is placed on the results of the clinical trial. As such, animal testing alone is not enough and is simply one of the first steps in bringing a drug to the market. There is a range of different trial types that may be used to investigate a drug or treatment. Some trials look at ways to find improved methods of screening for a disorder. Others are more preventative in nature and they investigate methods to prevent disease in healthy people. Alternately, these trials might look at ways to prevent the disease recurring in those who are susceptible to a recurrence. A commonly used type of trial is one that investigates a new drug or treatment. This type of trial will test a new drug or even a combination of drugs. It might also look at new surgical methods or similar techniques. The investigator must first choose to compare the drug in question with a placebo, other treatments currently used, or both. He or she must then decide on an appropriate population sample to be used for the clinical trial. Patients must be located and recruited according to specific criteria that correspond to the experimental aims. Sometimes, a clinical trial will involve patients from various geographic locations. A clinical trial protocol is written up and distributed to the researchers at different sites, which serves to ensure that the experiment is consistently conducted in the same manner, regardless of the geographic location. A clinical trial involves four phases - from Phase I through to Phase IV. There is, however, a newer Phase 0, which is used to bring a particularly promising drug to the market much faster. The other four phases each look at one or more of the drug's efficacy, toxicity, safety, dosage, side-effects, metabolism and long-term effects. The earlier phases focus on smaller patient groups while the final phases tend to be much larger patient groups. The costs of a clinical trial are enormous and can take nearly a decade to complete. In recent years, patient recruitment for clinical trials has become much more aggressive. Work may be contracted out to a contract research organisation that will recruit patients from a variety of geographic locations and backgrounds. Advertisements can be seen in newspapers, magazines and online. Some provide high compensation although the compensation is often dependent on the time commitment. In addition, some require an extremely controlled environment, which means that patients must remain in a special, sectioned-off part of a building, sometimes for several weeks or more. Clinical trials are important and rely on the preliminary testing of animals to indicate if there is hope to proceed with a drug. They are complicated as well as usually being very expensive and time-consuming but they must be designed this way to ensure that a drug is thoroughly tested, safe and effective for a specific disease or condition. Clinical trials have been responsible for bringing many important drugs to the market. As such, they will continue to play a necessary and important role in the improvement of health and medicine in the future.